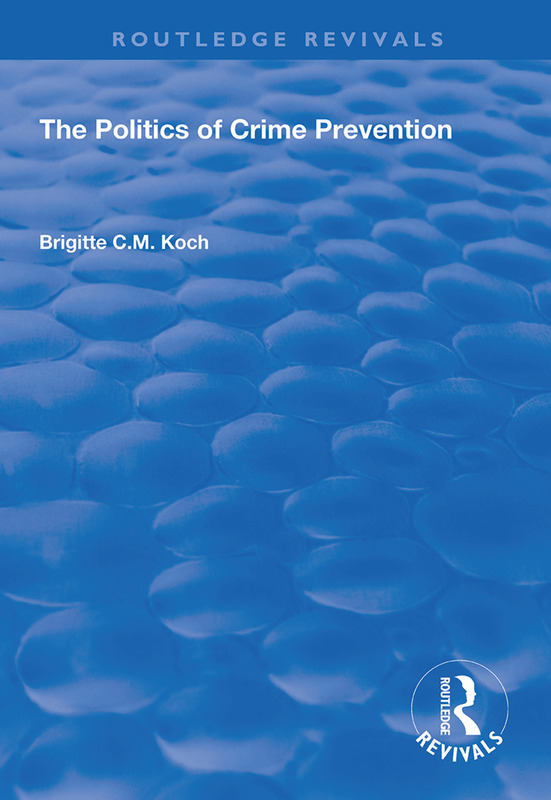 This book is a comprehensive account of crime prevention policy in England and Wales. It examines crime prevention policy under the Conservative Government and examines the direction that the newly elected Labour administration is taking. Particular attention is paid to the years 1995 to 1997. The book goes beyond the Home Office and examines the roles of the Police, Probation, Crime Concern, NACRO, the Local Government Association and the role of the national Community Safety Network in national crime prevention policy making. It examines how some agencies influence policy and how others have struggled to have a voice. The methods used to conduct the research include interviewing key persons involved in national crime prevention policy making; distributing questionnaires to police and probation officers of all ranks in Boroughville; and analyzing documents from various organizations such as the Police Probationer Training manual and minutes to the Association of Chief Police Officers sub-committee on crime prevention from their inaugural meeting in September 1986 until May 1995.